SOCCER - Mbabane Swallows have been boosted by news that key defender Mandla Palma has not suffered any major damage to his knee. 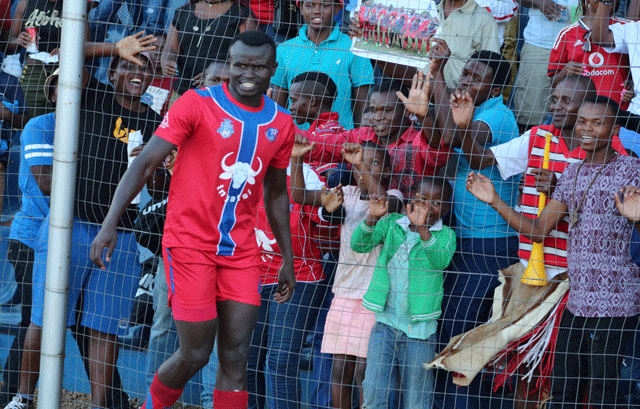 The Swallows centre back was substituted off after injuring his knee during his side’s 2-1 victory over Mbabane Highlanders in the Eswatini Telecom Charity Cup final at Somhlolo National Stadium on Sunday. With Swallows set to face Zambian giants Zesco United in the CAF Champions League almost a week from now, there were fears within the Swallows camp that the key defender would miss that clash. However, after going for a scan on Tuesday, it has now been revealed that Palma has not suffered any major damage to his knee and should be back in training next week, according to Swallows General Manager Sandile ‘Beyond 2000’ Zwane. “Luckily the doctors found that there was no serious damage on the knee. He is already getting better. We are keeping our fingers crossed that he can resume training next week and join the rest of the team in preparing for the Zesco match. Right now we have put him on a special programme to aid his recovery. The good thing is that he can walk freely now and the swelling is getting better so those are positive signs,” Zwane said. Palma has played every single minute of Swallows’ Champions League campaign so far and was named in the prestigious CAF team of the week earlier in the season after helping the ‘Birds’ to a 1-0 win over Angolan side Primeiro de Agosto. The defender was also named the 2017/18 MTN Premier League Player of the Season in June having helped Swallows to the League title.